Home / Why is organic coffee so important? Why is organic coffee so important? Traditional coffee growers, for mass production, often clear wide swathes of land. This land is predominantly in the rainforest, causing major deforestation. The coffee is then exposed to the sun all day, making the beans more vulnerable to pests and insects. 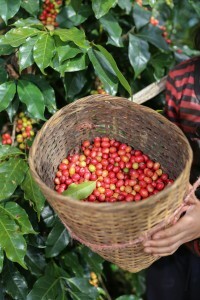 The coffee then requires large amounts of pesticides and insecticides to protect them. These pesticides cause soil erosion and pollute local water supplies, ruining the local ecosystem, reducing biodiversity, and leaving the land less fertile. Organic farmers incorporate shaded trees and various other sustainable agricultural tools for the health of their coffee trees and to solve natural problems of bugs, pests and fungus. Methods include composting, terracing, and inter-cropping and biological pest control. These methods are the only way to ensure that we will be able to produce coffee beans in a healthy natural environment in future times. Non-organic coffee farmers suffer greatly from both direct contact with all the chemicals sprayed on their crops, and through the polluted soil and water. By buying organic, you are supporting farmers committed to nurturing the environment and promoting biodiversity. To top it all, farmers also get much better prices for organic coffee, since the market considers it to be a premium product. So buy organic, and make a huge difference to farmers’ lives! 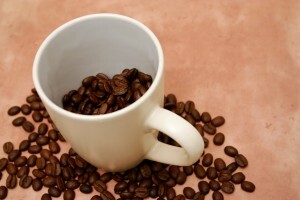 Coffee is one of the most heavily chemically treated agricultural crops. Many of the pesticides and insecticides sprayed directly on the crops end up in the coffee that people drink on a daily basis. This really harms your body! By consciously choosing organic coffee, you will be drinking a cleaner product each morning. Most organic coffee is shade-grown and this directly impacts taste. This is because coffee absorbs all the flavours and aromas from surrounding trees, such as plantains, cacao and fruits. The exotic aromas flow out when not exposed to chemicals.